Community Cleans Up Soapstone Tributary | Tenleytown, D.C.
Posted on May 22, 2014 by Tenleytown, D.C.
Nearly 30 Tenleytown residents, Wilson High School students, and friends of Rock Creek banded together last Saturday to remove trash and invasive plant species from the last open headwaters of the Soapstone Tributary of Rock Creek. Situated next to the Wilson Aquatic Center along Fort Drive, the land surrounding the headwaters had become overgrown and filled with waste and debris. Whole Foods Market Tenley, which envisions “eventually re-plant[ing] it with native plants, grasses and trees…[to] attract native insects, butterflies and birds,” partnered with the Rock Creek Conservancy to sponsor the clean-up of the Soapstone Tributary. 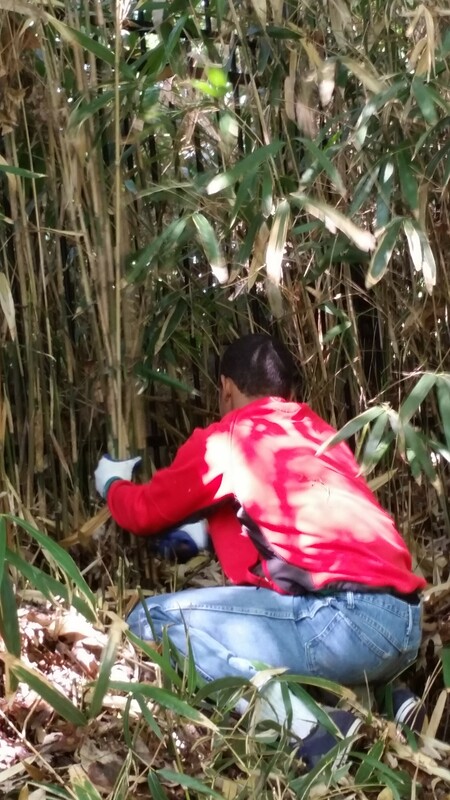 A Wilson High School student helps clear bamboo. Over two hours, trash removal teams collected more than 50 bags of trash and recyclables, as well as several large items including tires, a stereo, a shower caddy and wire fencing. Other volunteers tackled the removal of English Ivy, bamboo and knotweed that were climbing or crowding out native trees and plants. Plants indigenous to the area are important food sources for song birds, while invasive plants provide little nutritional value but fill birds’ stomachs – the equivalent of avian junk food. Malnourished birds can sicken and die. Leading the charge to rid the tributary of bamboo and knotweed were five Wilson High School students who wielded handsaws and loppers. Under the guidance of a certified Weed Warrior, the dedicated team of teenagers cleared a swath of land along the waters running from Fort Drive behind a group of houses on Albemarle Street back to Nebraska Avenue. The students will receive credit toward their volunteer community service requirement for participating in the clean-up. However, the hours gained were a secondary consideration for the youth who said their desire to help the environment was the primary reason they joined the event. Among the students was the president of the Wilson Greenhouse, a student-run green initiative that grows seedlings and plant cuttings to donate to schools and/or sell for funding. 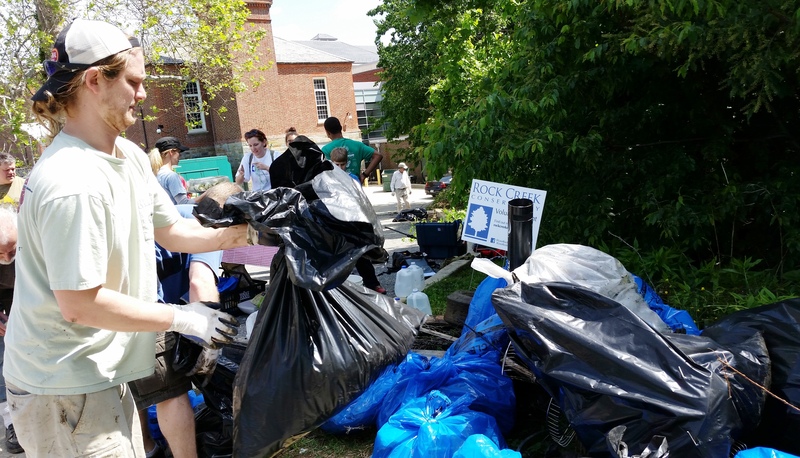 Whole Foods Market Tenley envisions the May 17 clean-up as the first of many events to restore and maintain the section of Rock Creek that lies behind its store. 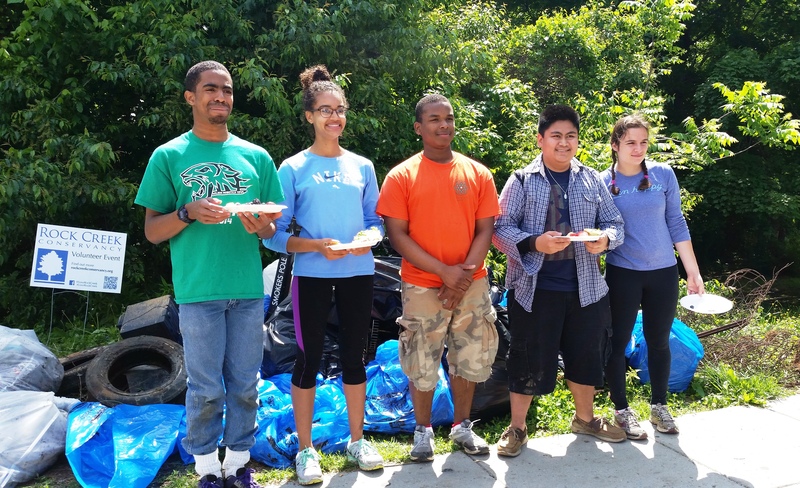 Whole Foods and the Rock Creek Conservancy hope to host another clean-up during the summer.